While millions of people take calcium and vitamin D supplements thinking they’re helping their bones, the truth is, without the addition of vitamin K2, such a health regimen could prove dangerous. Excess calcium in one part of the body (arteries), and a lack of it in another (bones), may occur even in spite of calcium supplementation, this is known as the calcium paradox. The underlying reason is a vitamin K2 deficiency. Without vitamin K2, the body cannot direct calcium to the bones where it is needed; instead, the calcium resides in soft tissue (like the arteries) leading to a combination of osteoporosis and atherosclerosis. Vitamin K2 holds great promise for healing chronic and degenerative disease, reversing arterial calcification, improving varicose veins and preventing menopause symptoms. Vitamin K2 may reduce neuronal damage and that supplementation may hold benefits to treating Alzheimer’s disease, although more research is necessary in this area. Emu Oil has been recently discovered via testing to contain nearly as much MK-4 (vitamin K2) per 100 grams as goose liver pate which contains the second richest source of vitamin K2 after the traditional Japanese dish Natto, made of fermented soybeans. The intense smell and strong taste of Natto make this soy food a less attractive source of natural vitamin K2. The Oil from Australia’s flightless bird, the Emu, has been used for hundreds of years by the indigenous Aborigines as treatment for all manner of ailments, including arthritis, muscle & joint problems, sprains & strains, gastro-intestinal inflammatory problems, skin complaints including dermatitis, eczema, psoriasis, as well as burns, scarring, insect bites, rashes, abrasions, cradle cap and nappy rash. The Aborigines consider Emu Oil to be a sacred food. The most biologically active Emu Oil loaded with vitamin K2, 100% as the potent MK-4, comes from a specific genotype of emu only found in Australia. All emus outside of Australia are interbred and do not contain this special genetic. In addition, the Australian emus must not be fed GMO feed or be subjected to antibiotics, growth hormones or chemicals of any kind. They must be allowed to live and reproduce in their natural habitat eating their natural diet. When emus are raised in this fashion, their fat accumulates large amounts of vitamin K2. This fat is what enables these birds to survive the extremely harsh environment and climate of the Australian outback. The emu’s fat stores allow it to store food and energy when it is needed most: during droughts, food and water shortage and especially during the reproduction phase each season. During mating season, the male emu sits on his mate’s cluster of eggs for 56 days straight, without food or water intake of any kind. The male emu does not even have a bowel movement during this important time. All hibernating animals accumulate this type of vitamin K2 rich fat, however, only the emu is able to provide this nutrient rich oil on a commercial basis. 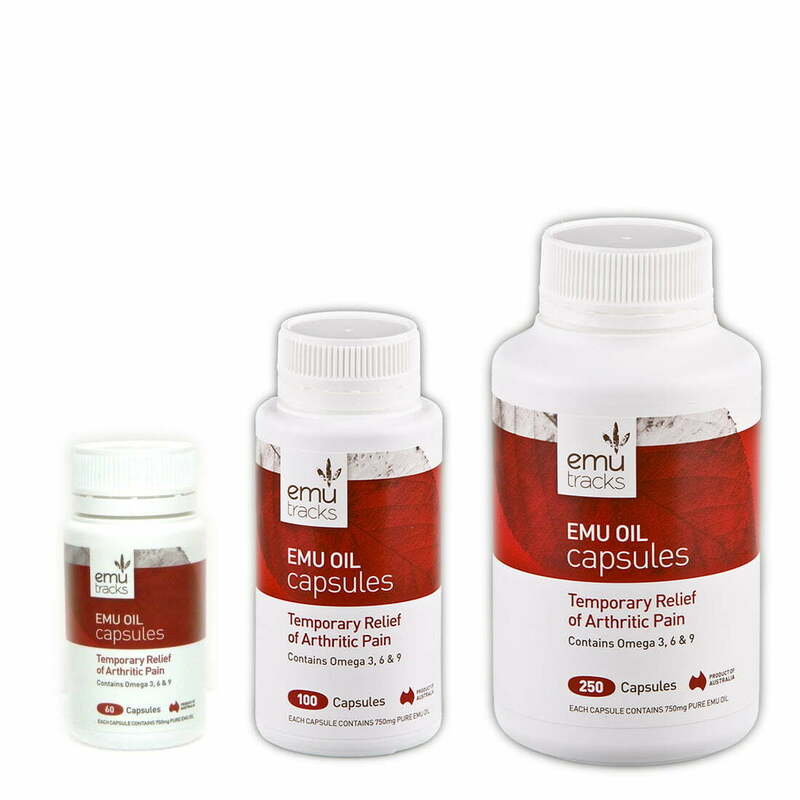 Emu Oil is available in capsules and liquid. The liquid form is best used externally and feels absolutely gorgeous on the skin. 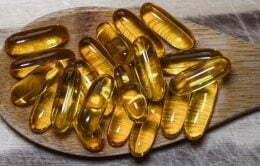 The capsules are best used as a vitamin K2 supplement, containing 360mcg per 100 grams.